MONTHLY photos contributed by our members for November - 2018. 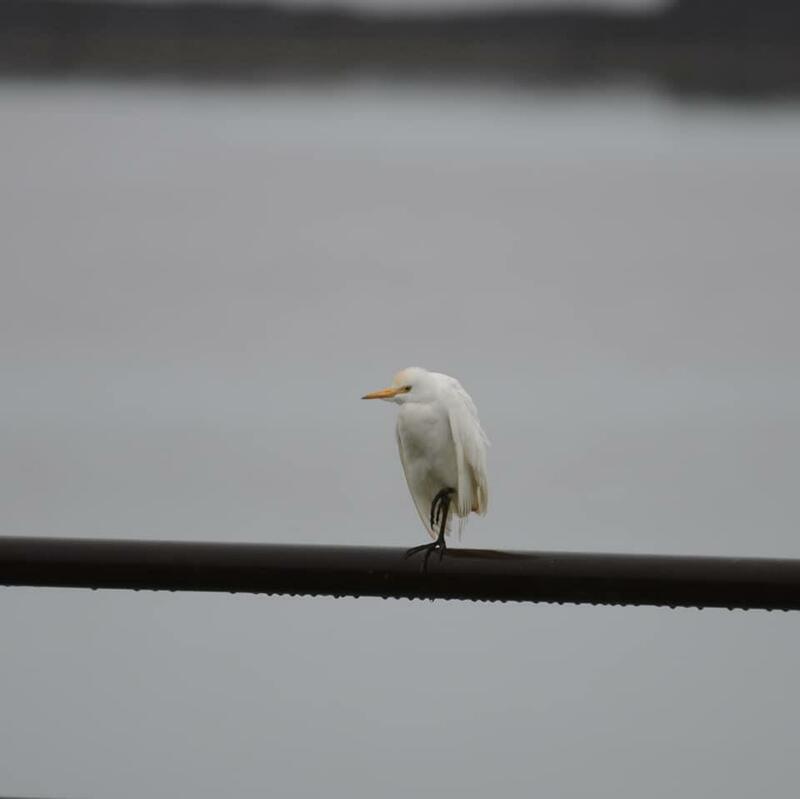 Cattle Egret in the Dunkirk Harbor on November 2nd. 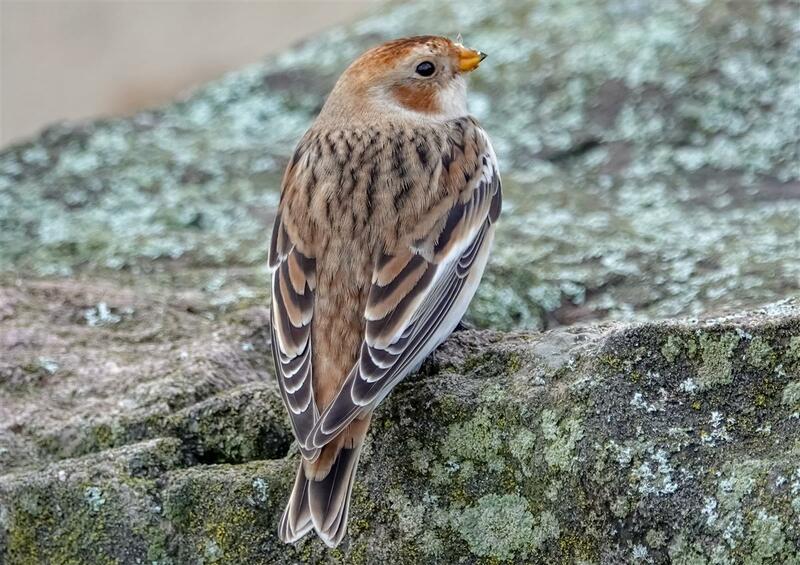 One of nine Snow Buntings in the Dunkirk Harbor on November 3rd. 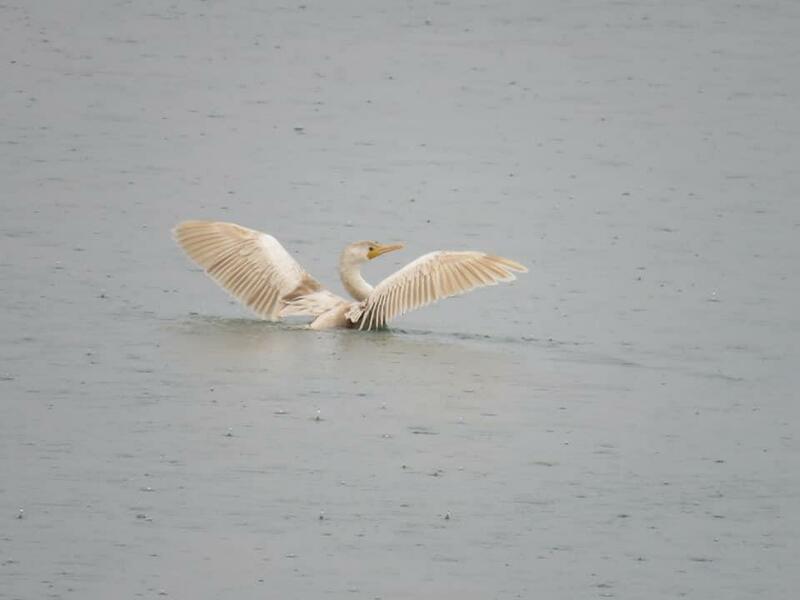 Kyle Brock managed a photo of the leucistic Double-crested Cormorant that has been around the Buffalo area for a while now. On the first, Kyle captured this image at the Black Rock Canal Park. 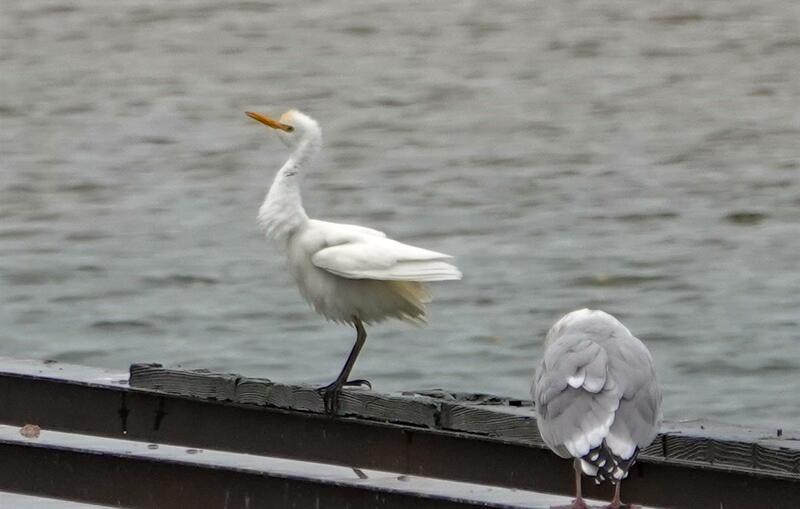 And another one...Matt Kaufman discovered this Cattle Egret on the 3rd at LaSalle Park. Autumn 2018 has been a great year for Cattle Egrets in our region! 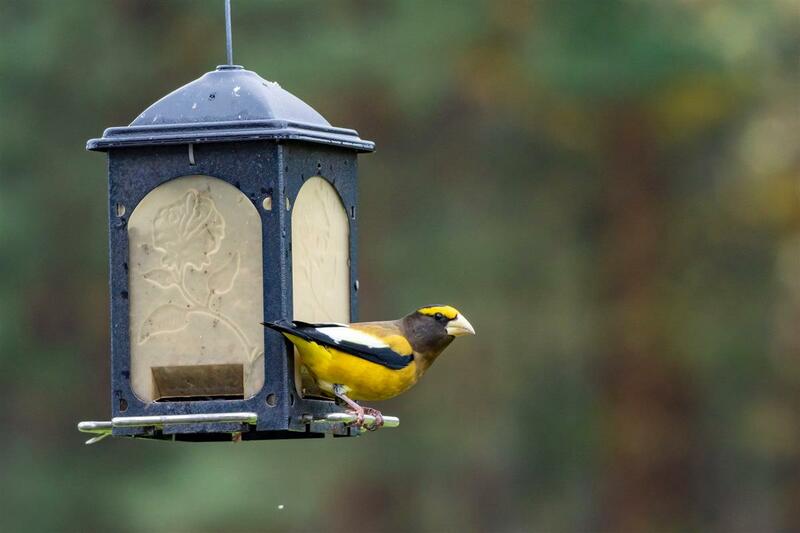 Bring 'em on...Christy Librock Hibsch had the gift of Evening Grosbeaks at her feeder in Attica, NY on the 3rd. Ron Pittaway's Winter Finch Forecast predicted this species would irrupt into the Northeast this winter! 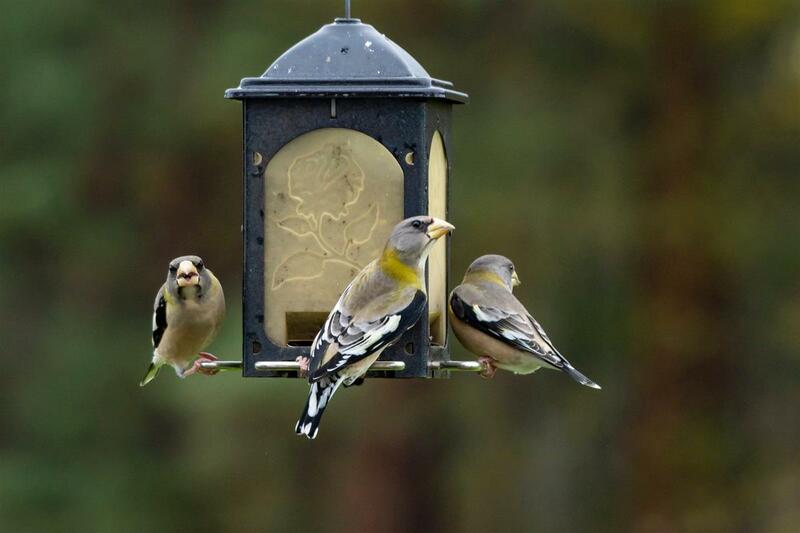 Another photo by Christy Librock Hibsch of a trio of female Evening Grosbeaks at her Attica feeder on the 3rd. Such a stunning bird and we wish everyone a visit by this species this winter! 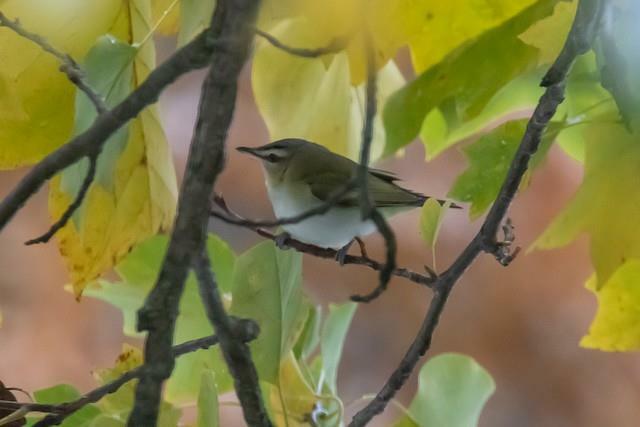 On the 9th, Carl Carbone photographed this late Red-eyed Vireo in South Wales, Erie County. 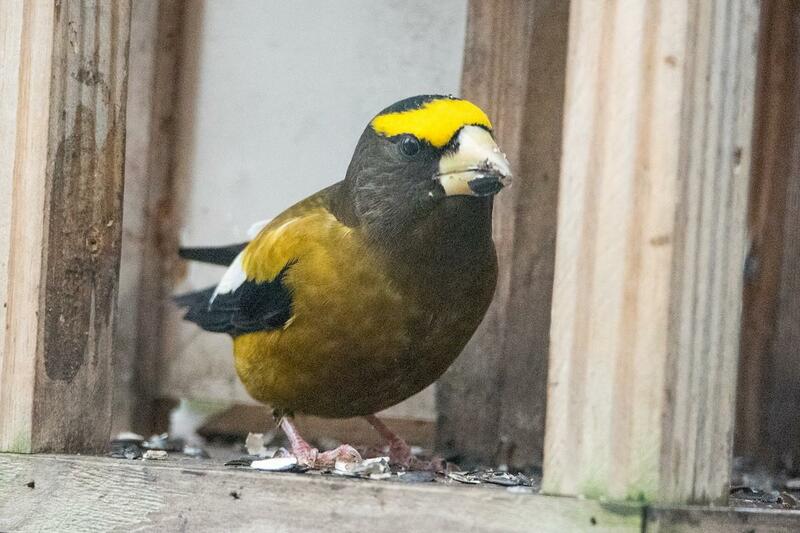 Sue Barth's feeders in Orchard Park were enlivened on the 9th when 6 Evening Grosbeaks showed up! The birds continued into the 11th as Sue welcomed many members to her home to see these special visitors! 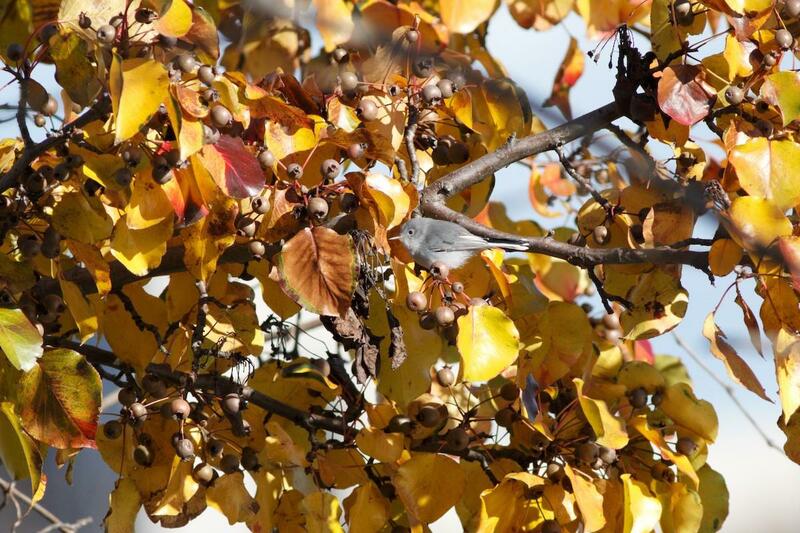 On the 14th, James Kroeker photographed this late Blue-Gray Gnatcatcher along the Niagara River at Nicholls Marine in Fort Erie. 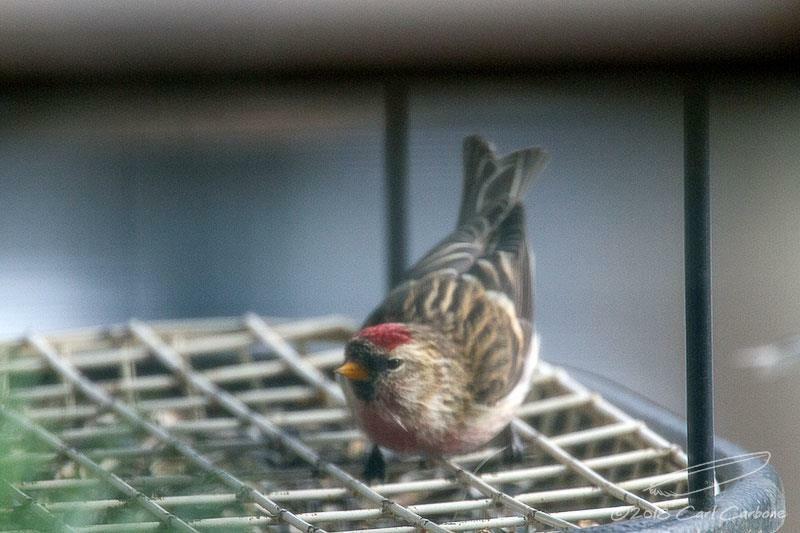 Also on the 14th, Carl Carbone photographed this Common Redpoll at his feeder in South Wales, NY. The last big irruption year for CORE was back in 2012. 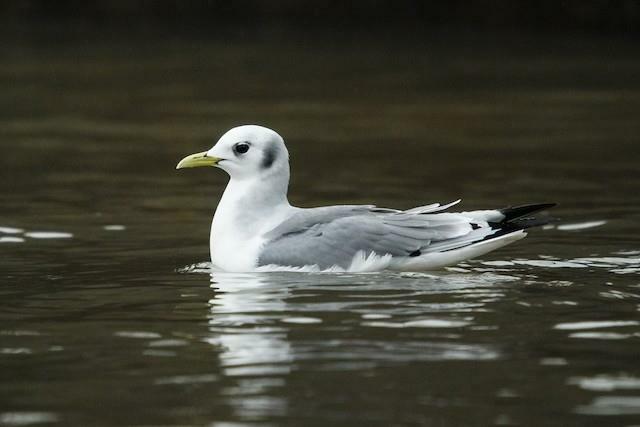 On the 16th, Ryan Griffiths found and photographed this 2nd winter Black-legged Kittiwake along Point Abino Road near the Buffalo Yacht Club property. This is an unusual plumage to see away from the ocean. 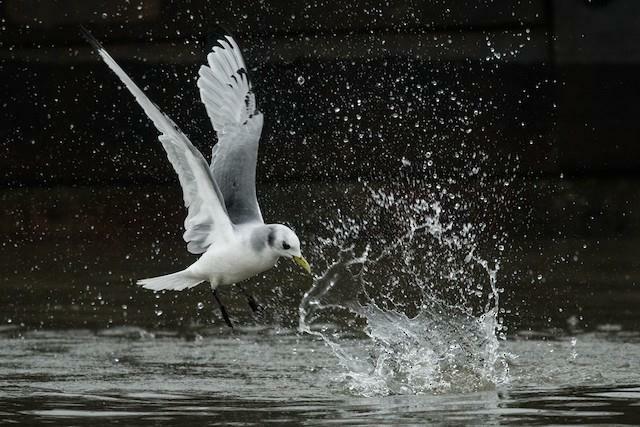 Another image of the sub-adult Black-legged Kittiwake on the 16th by Griffiths. Ryan noted that this individual was harassing Buffleheads and Horned Grebes on the east side of Point Abino Road, Ridgway, Ontario and this image captures that behavior. 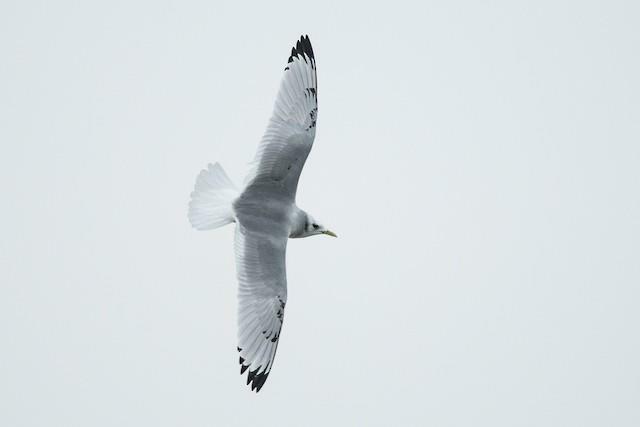 Beautiful dorsal view of the subadult Black-legged Kittiwake on the 16th. Ryan Griffiths captured yet another stunning image of this rare plumage (for an inland location) along the north shore of Lake Erie at Point Abino, Ontario. 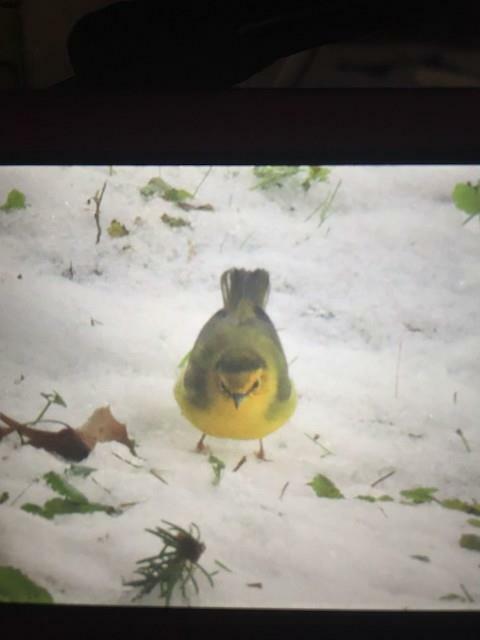 On the 17th, Wendy Bale noticed this odd bird in her yard near her bird feeders. The next day the bird reappeared and Wendy managed a few photos. This female-type Hooded Warbler was a huge surprise this late in the fall. Chautauqua County at Kiantone, near PA border. 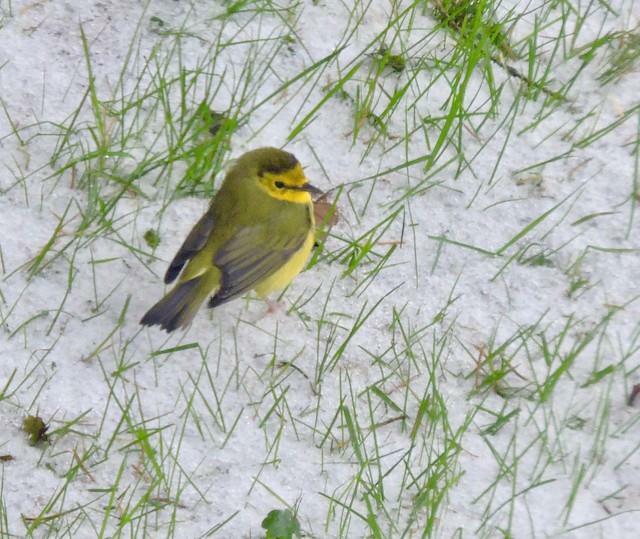 Another image of the Hooded Warbler on the 18th by Wendy Bale. Interestingly, another Hooded Warbler showed up on the same date in nearby Oakville, Ontario. Notice the white tail spots just peeking out and the partial black hood framing the face. 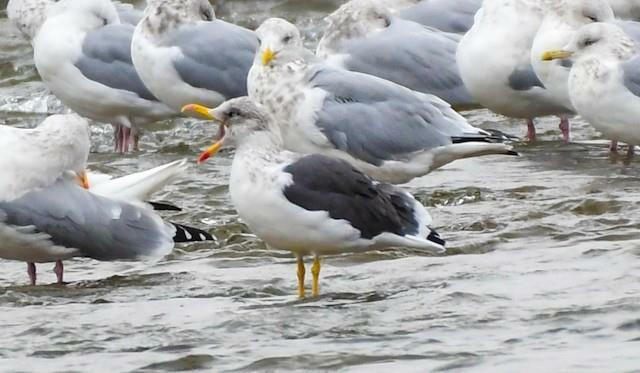 On the 18th, Josh Ketry photographed this sharp looking adult Lesser Black-backed Gull off Goat Island, Niagara Falls. This is the best location to see this species up close and personal on a regular basis. Sue Barth strikes gold with this rare Tufted Duck on the 18th at LaSalle Park in Buffalo. Back in 2014, this species also made an appearance at this location. 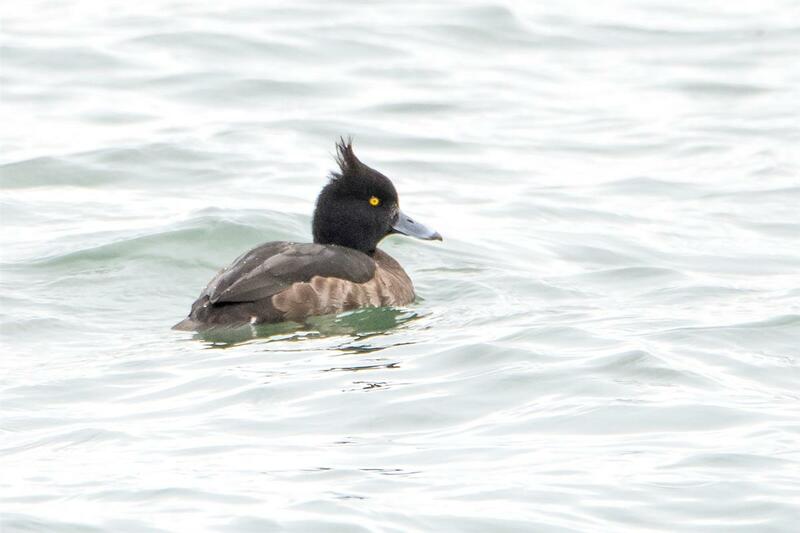 Josk Ketry took this photo of the LaSalle Park Tufted Duck found earlier in the day by Barth. 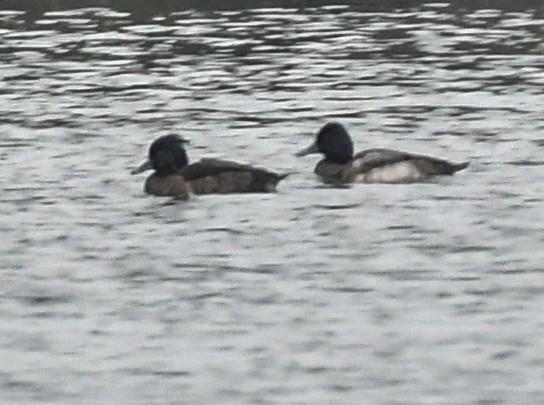 Here is a nice comparison shot with a Lesser Scaup, a species with which TUDU is frequently found associating with. 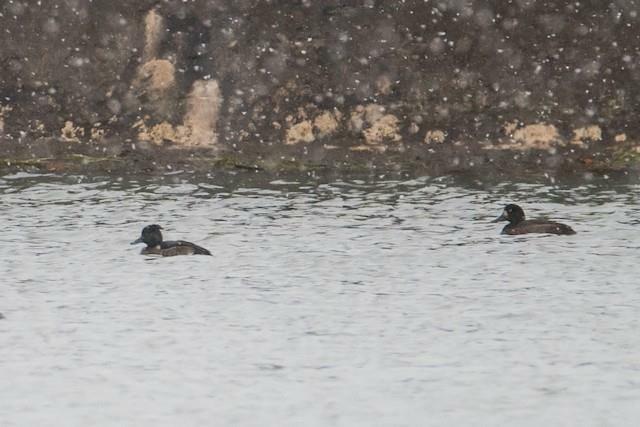 Another Tufted Duck image by Ketry from the 18th. This species is a rare vagrant from Europe and it takes a sharp eye to pick one out of the crowd...thank you Sue Barth! 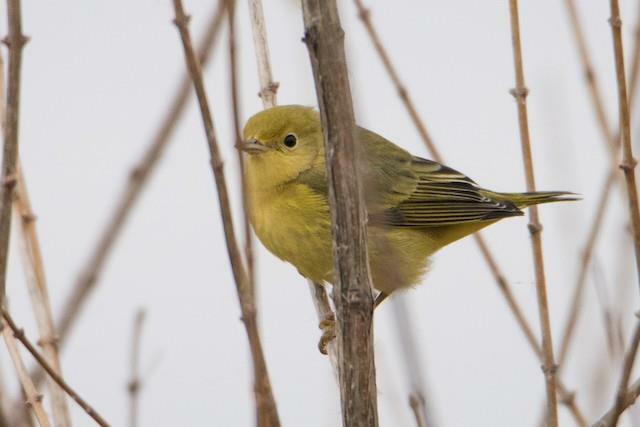 Sue Barth found and photographed this extremely late Yellow Warbler at Times Beach on the 18th. 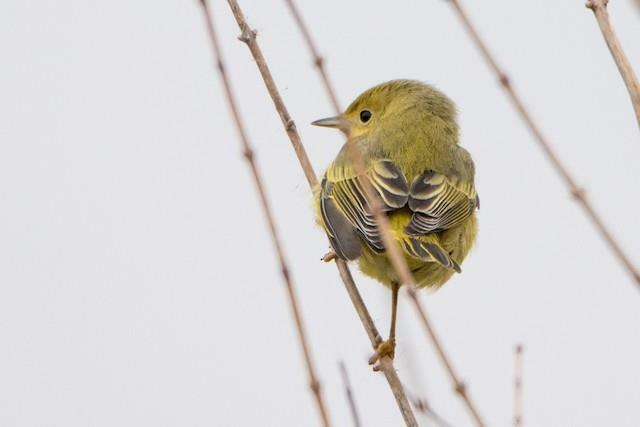 This bird could have arrived on the same flight as the Hooded Warbler. Another image of the very late Yellow Warbler on the 18th at Times Beach found and photographed by Sue Barth. 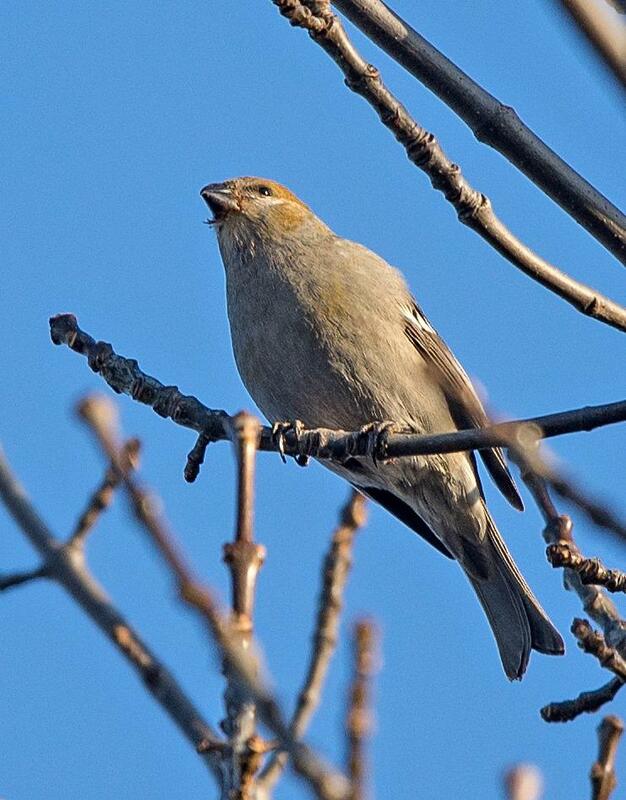 Willie D'anna found and photographed this special visitor on the 23rd in Wilson, NY...a female Pine Grosbeak! 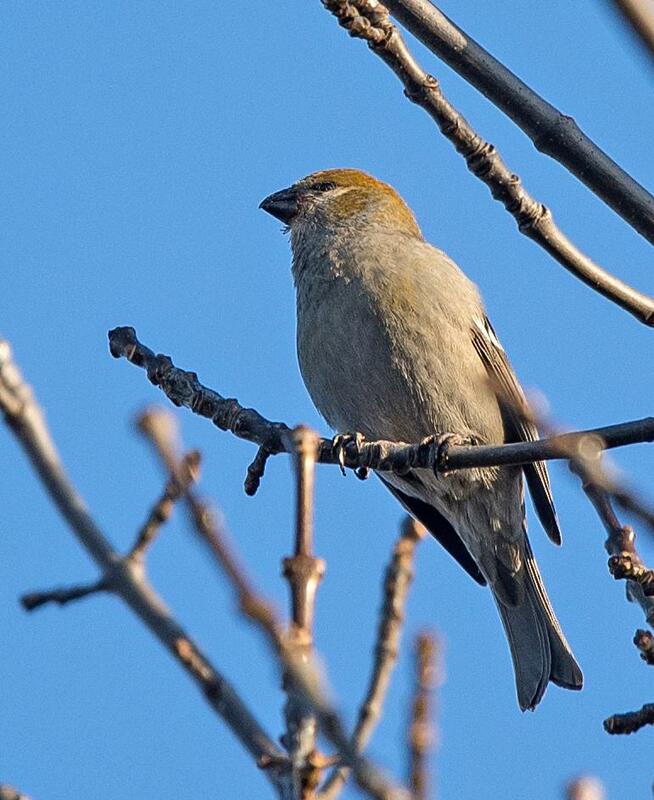 ANotherimage of the female Pine Grosbeak found by D'anna on the 23rd in Wilson, NY. The bird was calling and feeding on berries with two American Robins. High hopes for more reports this winter! 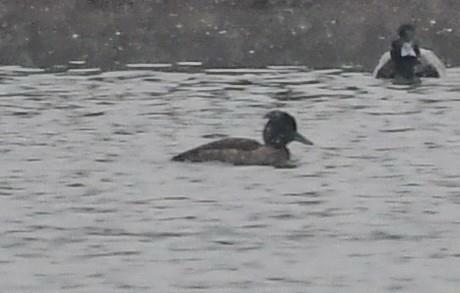 This photo of the Tufted Duck, found on the 18th, was taken on the 24th. The celebrity continued at La Salle Park into December.